Dodson is the definition of the term "rocker" - in a state of extreme confusion or insanity <went off his rocker, and had to be put away — I mean, a rock music enthusiast. Avid lover of old school muscle cars and local live music. Has been the voice of Z 98.5 since 2009 and will continue to deliver the Best Rock ever recorded to North Mississippi! Lives his life cranked up to 11 at all times. 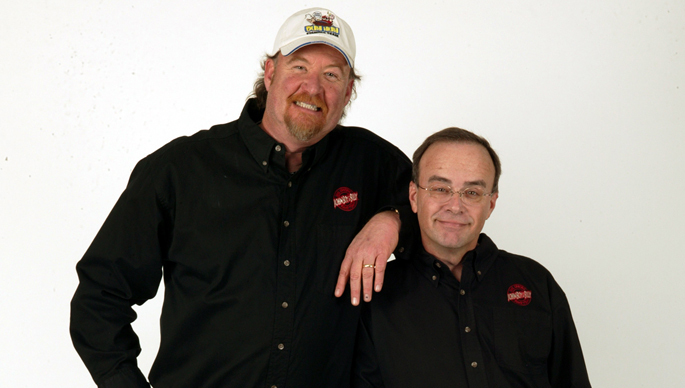 don't miss dodson in the afternoons weekdays 2-6pm! rock on. Current hobbies? Anything on or around the ocean. Hunting Turkey, deer, Duck, dove. Any entertainment background you want to include? Yeah, but I don't have any....Wait! I had a role in my senior play...only play in GHS history to be called back for a 3rd performance during the week! Ta Da!!! Any odd habits? I set my watch and the clocks in my bedroom to different times, so I'm not ever sure what time it is! Pets? 3 dogs - Pearl, Minipearl, Spud. Favorite saying? "No, huh-uh and where ya'll goin' later?" Hopes for the future? A nap! Did you mean after today??!! As a child, what did you want to be when you grew up? Taller. Duties with the Big Show? Co-host, writer, guy who listens while JB talks so that if/when he gets lost, I can help him find his way back to what he was talking about. Favorite food? Beef: it's what's for dinner. Favorite movie? Star Wars, Raiders of the Lost Ark, Coal Miner's Daughter, The Apostle, The Accountant…do I have to pick just one? Favorite song? Too many to list – but I like almost any good early-1970s R&B. Favorite band of all time? Why do you keep asking these questions that have multiple answers? How did you get started in this business? Wrote a letter to a local program director, who was kind enough to invite me over to the station one Saturday afternoon. I was hooked. Any entertainment background you wish to include? This job is pretty much it. Any odd habits? Define "odd." You're not a cop, are you? Marital status? Active. Oh did you mean…? Yeah, Polly and I have been married since 1985. Children? 2 – David & Andy. What famous person would you like to meet? Famous people are, as a rule, nuts. But I'd enjoy having lunch with Jerry Seinfeld. If you could be any celebrity for the day, who would it be?? ﻿﻿﻿﻿ The person my dogs think I am. What would be your ultimate vacation? Finding out I won the lottery while on a trip to Hawaii. As James Gregory says, "Y'all would never see my fat a** again!" First job? Gofer/handyman at Scottish Inn Motel in Gastonia, NC. It's what convinced me I needed to find something where I didn't have to actually work for a living. Mission accomplished. Favorite saying? "It ain't what they call ya – it's what you answer to." Best memory on the show? Too many to list. It's a pretty sweet gig. Most interesting guest? Tim Wilson is almost always pretty good, as is James Gregory. Hopes for the future? I get word I won the lottery on my next trip to Hawaii. And if that doesn't work out… success, good health and happiness for my kids. Anything else you would like to add? I've said too much already. Cara has two kids, a 13 year old son and a 21 year old daughter. Her son plays hockey so Cara's life has revolved around the duties of a hockey mom for the past decade. She can tape a hockey stick in record time and can often be found at his home rink running the scoreboard and playing killer tunes during his games. When she's not consumed by hockey you'll likely find her at a rock concert or at home fixing things around her house. She is proficient in installing faucets, dishwasher repair, painting, drywall, installing custom closets and growing an organic garden. But Cara's biggest passion is rock music. 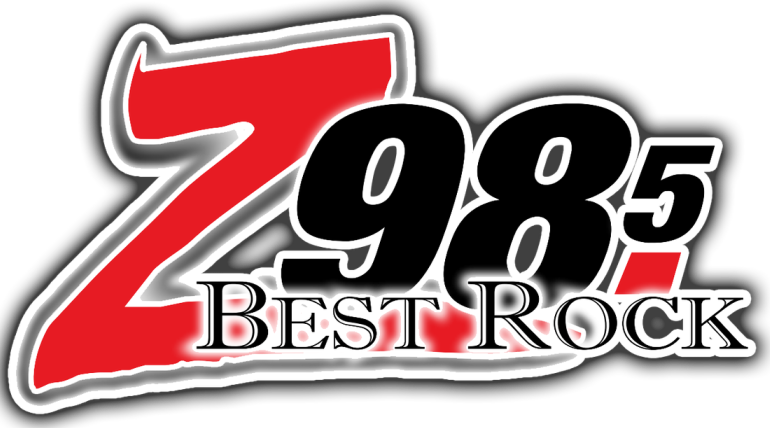 z98.5: north mississippi's best rock!